The school signs an MOU with Daejayon based on mutual trust and cooperation. The school comes to be known as the Green School to the teaching staff, students and citizens. 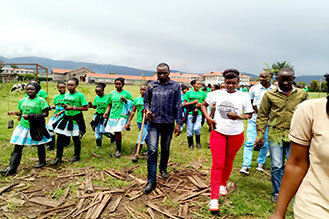 Through the Green School Inauguration, the school helps the students be aware that their school became a Green School so that all students of the school can participate on it. We make school officials, teachers and all the students of Green School realize the crisis of global warming, and save energy in school. We make all the students of Green School get interested in environment and grow into environmental custodians. We make school officials, teachers and all the students of Green School realize the crisis of global warming, and save energy in school. In recognition of our contribution in achieving the Korea’s targets for reduction of greenhouse gas emissions and creating low-carbon green culture, Daejayon won the Award for Outstanding Contribution to Energy Conservation from the chief director of the Korea Energy Management Corporation in 2010. Through the environmental performance, quiz and exhibition, we makes all the students of Green School recognize the seriousness of climate change and have interest on environment. We carry out an environmental education for school parents so that the students get environmental education and save energy at home. We share environmental excellent cases with overseas Green School through on-line network. 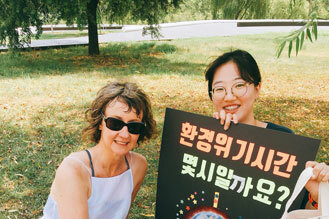 We visit and experience an excellent Green School and then apply to Green School in Korea. 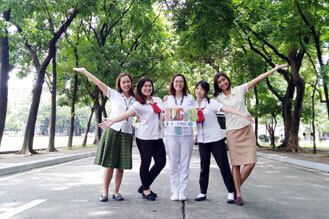 Little Daejayon Environmental Club takes the lead in making Green School. Through systematic education by each age group, we produce global environmentalists like Al Gore. We hold campaigns to protect and recover environment and develop new methods. Through the exchange program between the university student environmentalists and the environmental leaders of other universities, we encourage them to get interested more on environment. We help students to realize the value of nature and have knowledge on it. By sharing cases of Green School, we try to findout problems and solve them through discussion.